Online recovery is quite the modern-day phenomenon in the 12-Step community. Bill Wilson and Dr. Bob Smith, the founders of Alcoholics Anonymous, would be astounded to know that people from all parts of the world come together on a computer for A.A. meetings! Taking part in an Online Recovery Meeting can be beneficial to your recovery, not to mention fun. One advantage: You can remain completely anonymous. So grab a cup of coffee, your keyboard and go to a meeting! My opinion is that online recovery meetings should be used as a supplement to face to face meetings. They can be a wonderful tool to help with your recovery, but nothing can replace the real thing. On the other hand, think about those who are hearing-impaired or disabled and unable to attend meetings, what a wonderful way to stay connected with other recovering alcoholics! There are naturally differences between an online and a "real-life" AA meeting. Like the real thing, meetings are headed up by a volunteer chairperson. It is the responsibility of the chairperson to keep the meeting running smoothly. He or she introduces a topic and others in the room take turns sharing on the topic. At some meetings, the chairperson will also "read" the opening and closing statements, just like at a face-to-face meeting, by copy-pasting text files. Meetings last approximately one hour. You can come and go as you please, but remember to be polite and respect those who are sharing and listening. A certain online protocol is called for during an online recovery meeting to avoid what is commonly known in an AA meeting as "cross-talk". One of the annoying things, for me anyway, when I participate in online chat is the multiple conversations going on at once. Online meetings attempt to avoid this by introducing a topic and allowing only one person to share (or type their comments) at a time. It takes a certain amount of patience during an online recovery meeting to just "listen" (or read and take in the comments of others) and resist the urge to interject. Plus, compared with verbal sharing in a conventional, face-to-face AA meeting, it takes much longer for comments and ideas to make their way into print on the computer screen. So PATIENCE is the order of the day. It goes without saying that you should be careful when interacting with people online. "13th-Stepping" goes on online just as it does in face to face meetings. 13th-Stepping is a term used to describe people who prey on hurting and vulnerable people new to recovery. They know all the right things to say to gain confidence, but may have a hidden agenda. If you are IMed or receive suggestive email USE EXTREME CAUTION before choosing to communicate further. Also, if you are participating in an online recovery meeting and notice personal attacks, criticism, or otherwise unruly online behavior, this may not be the best online recovery meeting. Moderators are usually monitoring this and should warn and ultimately deny the offender access to the room to keep it a safe place for recovery. Recovery Realm is an online community dedicated to helping individuals overcome various addictions. 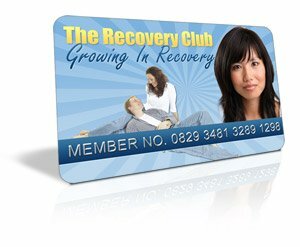 Recovery Realm was created by Melanie, a member of AA with over 20 years of sobriety. RecoveryRealm.com is one of my favorites. Do not interrupt those that are sharing. Please save your questions until the end of the meeting. To be recognized, type an exclamation mark " ! "; it's like raising your hand. When the chair recognizes you, you may share. When you are finished sharing, type "done". When sharing, it is best to type out your thoughts in 1 or 2 line sentences. Keep them short so that there are no long pauses during your share. Remember the more you type before you hit send/enter the longer the reader has to wait. Please refrain from talking until you are invited to do so. Cross talking is rude. Don't forget to raise your hand. Remember type an exclamation mark " ! " You may talk privately to anyone you wish, but remember this will disrupt their ability to focus on the message being shared. Please show everyone the respect they deserve. It is acceptable to comment briefly while someone is sharing if you feel strongly about what was said. Please limit remarks to SHORT comments like "yes" or "nod" "right on" etc. or symbols. When all those wishing to share have done so, the meeting is then closed, in most cases with the saying of the Lord's Prayer, although the chairperson does have the freedom to close the meeting in any appropriate manner. Another favorite is AAOnline.net. It bills itself as Alcoholics Anonymous on a computer. It has lots of meetings all throughout the day and night. Read the fine print before participating and learn the protocol. 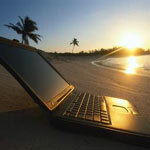 Like RecoveryRealm.com, if you want to share during an AAOnline.net meeting, you type "!" (no quotes) which is like raising your hand online. The ! or raised hands are placed in a que on a first raised first called basis. "G/A" means "go ahead" which is used when the speaker finishes their share. They also have a profanity filter to keep the language clean and suitable for everyone. AAOnline.net tries to allow all attendees an equal chance to share their experience, strength, and hope in the spirit of Alcoholics Anonymous. Go to AAOnline.net to see a list of scheduled online recovery meetings. AAOnline even celebrates AA "birthdays" or years and months of sobriety. They celebrate years and then follow with a countdown for those with less than a year. This takes place on the last Sunday of each month at 6:30 PM (Eastern Time). Beginner meetings are on Mondays at 9:30 PM (Eastern Time). Besides the real-time chat meetings discussed above (meetings with a moderator and topic, scheduled at a set time), chat rooms provide another online recovery venue. Just show up in the chat rooms, just about anytime, day or night, and you'll find someone to talk to. Members of the group send messages to a single email address which is then forwarded to all members of the list. Email groups are a great way to connect with others in recovery and get the support and help you need. Participants start a "thread" on the board to which others can reply. A thread which begins today about a particular topic or situation can help and support others who visit the board months or even years from now. One of my favorite forums is Cyber Recovery Fellowship Forums for Alcohol and Drug Addiction Help/Support. Isn't technology great?! With voice chat meetings, participants use their microphone and speakers to actually hear each other share on the meeting topics. But by far the closest to the real thing are video chat meetings in which participants see others in the meeting via Web cameras, or cams. If online recovery is not for you, find an A.A. meeting in your area.